A few teams may be involved in some action this week and for similar reasons. The Toronto Maple Leafs and Vegas Golden Knights have a salary they’re looking to move while the Minnesota Wild have salary they’re looking to manage. One team has its eye on only one player while the others need to deal with multiple contracts. With the signing of Patrick Marleau, the Maple Leafs added a great deal of salary to their roster and are now extremely tight against the salary cap ceiling. There isn’t concern that Marleau won’t help, but the issue it’s created for the Leafs is what to do with a player like Tyler Bozak. Bozak is a useful center, but he’s not in the same class of forward as player like Mitch Marner, Willam Nylander and Auston Matthews. All three of these players will be looking at multi-year extensions at high numbers. These three forwards, along with Marleau’s new contract means Bozak is likely on the move. Bozak has a year left on his current contract at $4.2 million. After that, he becomes an unrestricted free agent (UFA). 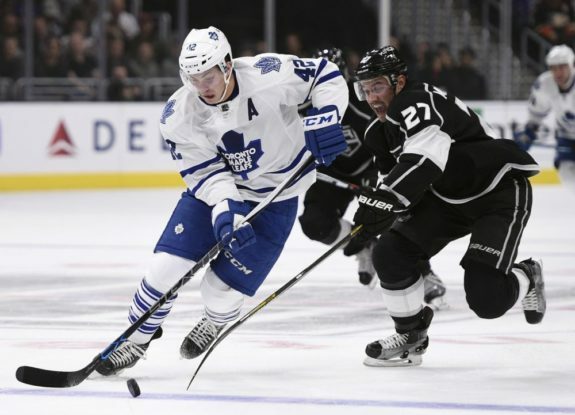 Speculation is that Bozak has some teams interested, and for that reason, he is more likely to move than a player like James van Riemsdyk. Moving Bozak relieves a little pressure from a Leafs’ perspective and adds a potential asset of value. Howard Berger has tossed around the idea that Toronto is speaking with the Colorado Avalanche, Calgary Flames and New York Rangers. #Leafs apparently talking trade with Colorado, Calgary and the Rangers. Details sketchy. But, looking to off-load salary for a d-man. A potential rumor has the Pittsburgh Penguins offering Olli Maatta for Bozak and reuniting Kessel with Bozak, but that type of move does nothing for the Leafs and their salary cap issues. One of the strategies employed by the Golden Knights at the NHL Expansion Draft was to grab a number of viable NHL defensemen. The problem is, they may have grabbed too many. 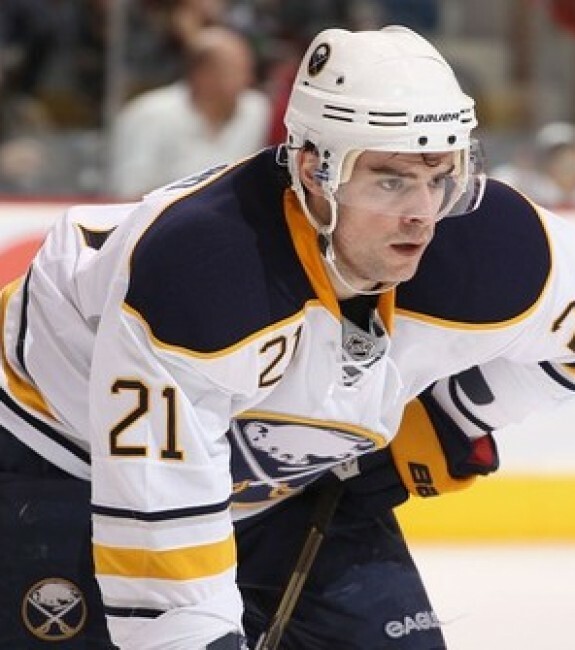 The team currently has nine blueliners signed to contracts and two that are restricted free agents (RFA). Both Griffin Reinhart and Nate Schmidt are looking for new deals and likely NHL ready d-men who could play on another team’s blue. They are also left-handed which is where the team has an overabundance of players. Vegas will be looking to move some of these assets prior to the start of the season and may do so relatively inexpensively. They could move as many as four players in the next couple of weeks. The Minnesota Wild have some in-house cleaning they need to do. Marcus Foligno, Nino Niederreiter and Mikael Granlund need new contracts as RFA’s and for now, that’s where the team’s focus is. Of the $15.7 million in cap space the team has left, these three players may take up $13 million or more of it. That won’t leave the Wild with much room to be active on the free agent market. Both Granlund and Niederreiter have filed for salary arbitration and if these contracts get done (which they should), the Wild may focus their attention of center Matt Cullen and forward Drew Stafford. Cullen is a center that could help the team, but no word has been given by his camp on whether or not he’s decided his future and his rumored retirement from the NHL. Stafford has an interest in playing for the Wild, but general manager Chuck Fletcher has to get Stafford on the right deal. Mikko Koivu becomes a free agent after this year and Matt Dumba and Jason Zucker will need to be re-signed, which the team can’t do if they spend all their money this year.